Access to water is a fundamental human right that’s being threatened by climate change and environmental degradation. The United Nations calls on countries to make clean water access universal. You can join us in taking action on this issue here. Joel Redman spent years growing up in Cape Town, and water was rarely an issue in the coastal city — rain was regular, the dams were full, and the reassuring presence of the ocean was apparent all around. But three years ago, the city’s worst drought in centuries began to unfold and Cape Town nearly became the first major city in recorded history to nearly run out of water earlier this year. Massive dams hit perilous lows, and the drought made everything look parched and drained. Soon, people were lining up at communal pumps for daily water rations, city-wide water use was cut in half, and local officials warned that household sinks could soon be turned off. Miguel, Jancinth and Jayden collect water from the Newlands Spring, Cape Town. Redman has spent his career as a photographer documenting the environment, how it’s changing, and the efforts of advocates. He’s covered typhoons in the Philippines, Indigenous land rights protests, and the ravages of hydropower energy. 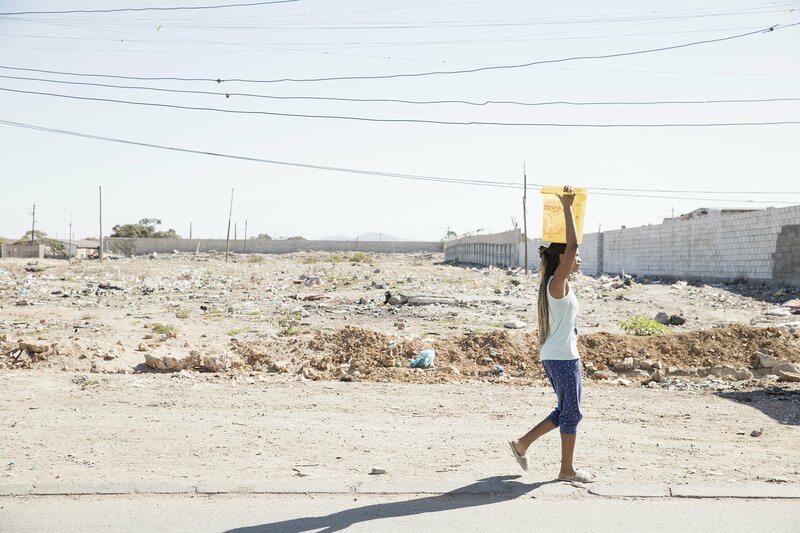 A young woman carries water back to her home within the township of Phillipi. “Then I saw bigger things beyond that like the dams and the steps Cape Town was taking to alleviate the situation,” he said. At the height of the crisis earlier in the year, Cape Town established “Day Zero,” a fast-approaching date when the city would have no more water. Officials deputized water police to patrol neighborhoods and issue fines to people caught washing their cars, wetting their lawns, or otherwise squandering water. There was also a lot of self-policing going on. People would turn off their taps during the hottest parts of the day, collect their shower water to use for dishwashing, and avoid flushing the toilet. 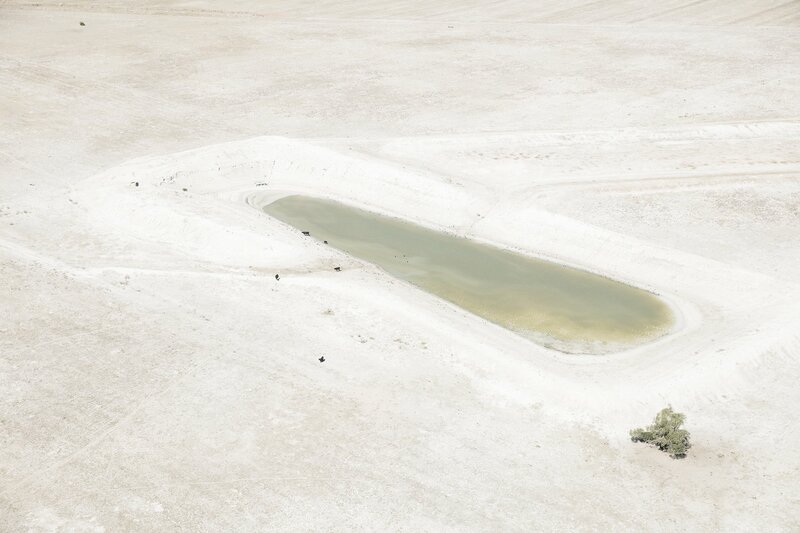 A farm dam just outside of Cape Town sits within a dry landcsape. Farming has been severly affected during the drought. The government encouraged people to use less than 50 liters a day, which goes rapidly if you’re not carefully apportioning it. Far from panicking, however, people responded with resilience, Redman said. Families banded together to preserve water, people actively restricted their water use, and even farmers drastically cut how much water they were using. For people living in poverty, the water crisis meant that the rest of the city was getting to see what life was like in their shoes, according to Redman. In the city’s unincorporated settlements, residents collect water at community taps. Even though they make up 20% of the city’s population, they account for just 4% of the city’s total water use, according to Elitsha, a local news organization. 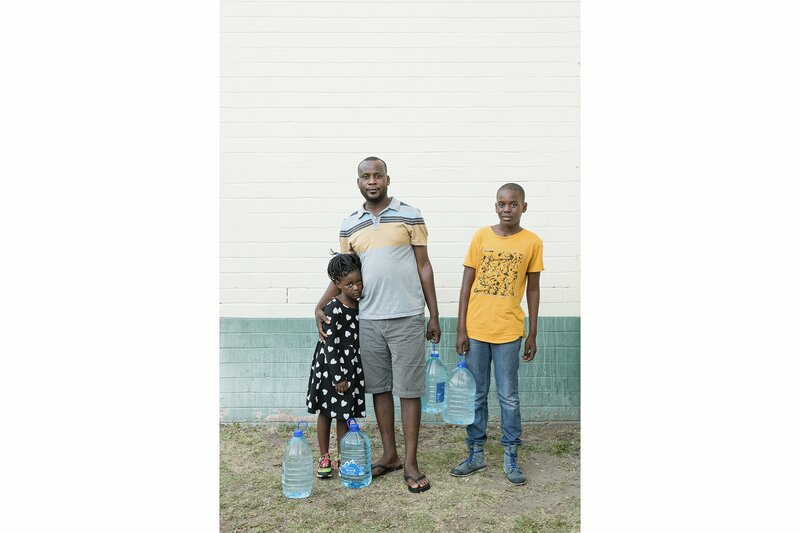 The photos in the series show people lining up for water with big, plastic jugs, dessicated landscapes, and depleted reservoirs. Although Cape Town ultimately avoided the most dire predictions, the water crisis is likely the new norm as climate change intensifies around the world. Officials will have to grapple with how to manage a dwindling and stressed water supply, according to Redman. Nicola collecting water from the Newlands Spring, Cape Town. And that’s a problem that resonates around the world. By 2050, the UN estimates that more than half of the world’s population could face water shortages. Redman hopes that his photographs can convey the gravity of the situation. “I hope it makes people more aware of Cape Town in particular, but also that it touches on a number of other cities that are going in the same direction,” he said.